Property owners are responsible for sidewalk maintenance. 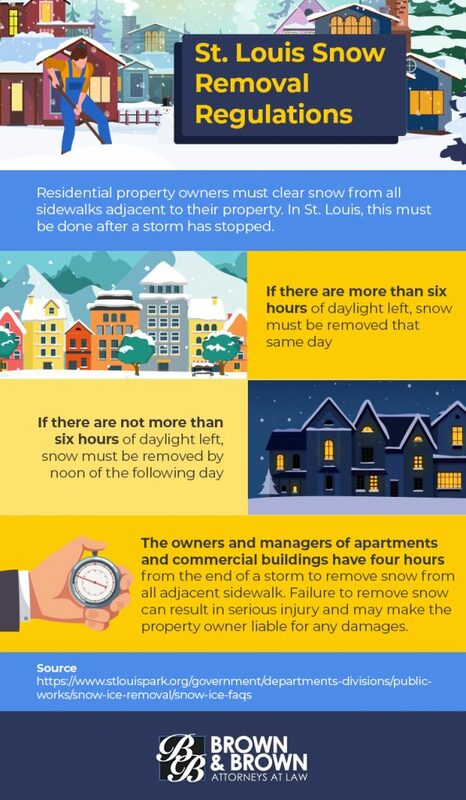 In St. Louis, some help is available from the city, but liability for broken, damaged, or slippery sidewalks most often falls to property owners. If you or someone you love is injured in a slip and fall accident, talk to a qualified personal injury attorney in St. Louis area.